As might have been gathered from the name, the elevator pitch for Pokken Tournament is a marriage made in my own personal heaven: Pokemon and Tekken. 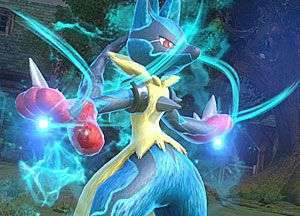 The reality is a very different beast however, as Pokken takes cues from both series and blends them into an experience that is quite unlike any other fighting game. 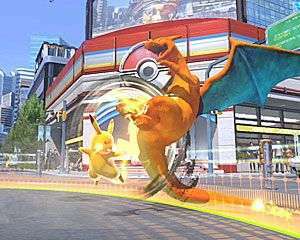 Like every game in the main series, Pokken Tournament transports you to a unique region of the Pokemon world. This one, Ferrum, is a little different to others, however, thanks to a strange mineral known as a synergy stone, Pokemon and their Trainers can join together to battle in harmony. The first time you play the game, you’re treated to an extensive tutorial. A main flaw of many fighting games is how intimidating and unwelcoming they can be, and Pokken bucks this trend. The introduction breaks down every part of the game and how to play it, and by the time it’s over you feel well equipped to enter the world of Ferrum and start getting into fights. There’s a single player mode, called the Ferrum league, where you can get your feet wet. This tasks you with fighting your way through several leagues, learning the game and proving yourself against a wide variety of opponents. Interwoven into this league mode is the story, which paints a picture of a world in peril, and you’re the only one that can stop it, in an epic duel. In the best fighting-game tradition, the bosses you encounter during the Ferrum league are far stronger than anything you’ll come across in the normal game, and there’s plenty of frustrated losing to be done before the story is over. In another nice little homage to the fighting series it draws from, completing the Ferrum league unlocks access to a couple more Pokemon, eventually rounding out the roster at sixteen fighters. If multiplayer is more your speed, there are a couple of options for that too. You can play online in a variety of modes that include ranked and casual play, alongside creating lobbies in which you can battle your friends. Online, Pokken Tournament is impressively robust. You’ll get a few laggy games but, for the most part, the play is smooth – you don’t often feel like you’re fighting the game instead of your opponent. What’s really impressive is the matchmaking, as you don’t often have to wait longer than a handful of seconds between games. I’m told that if finding a game takes longer than ten seconds then you go into a fight against the AI while it finds a game in the background, but I’ve never had to wait long enough to find out. The main disappointment is the offline play. The only option for battling your friends involves using the Wii U gamepad as a second screen, which player one has to use as their viewpoint. It’s workable, but not exactly ideal, especially since fights run a little slower to compensate for having to use the gamepad. The only other option for playing locally is to connect two consoles, plugged into two different TVs, with an ethernet cable. This isn’t an easy process, and though the end result is phenomenal – perfectly smooth gameplay with the fun feel of arcade cabs back to back – it’s not really worth it if you’re just going to visit a mate for the afternoon. The only other mode on offer is training, where you can revisit the tutorial for a refresher, or hit the combo dojo to learn some new strings for any of the characters you’ve unlocked. These are a bit like Street Fighter’s trials, where a combo is demonstrated and you have to replicate it. It’s a nice little tool for learning what a character is capable of – much like the move dojo, which simply breaks down every move that a Pokemon can do. The last part of training mode is Free Training, where you have free rein over a huge amount of options that help you really get to grips with your partner of choice. It’s not unfair to suggest that it’s one of the most comprehensive training modes in recent memories – with such a wide variety of options and the ability to quickly set or reset both you and your opponent into whatever position you wish, it certainly blows recent high-profile releases like Street Fighter V and Mortal Kombat XL out of the water. It’s great that it’s so initially welcoming, as Pokken Tournament does take a little trial and error to get into. Part of what makes it so unusual is that it splits battles into two phases: Field and Duel. In Field phase it harnesses the signature free movement of the Tekken series and takes it a step further. You can move in any direction, and have access to a variety of projectiles with which to harass and pressure your opponent. Land a particularly damaging move and you’ll force a phase shift into Duel phase, where things are played out on a more traditional 2D plane. In this mode you have access to a whole different moveset that you can bring to bear on your enemy in whatever fashion you wish. 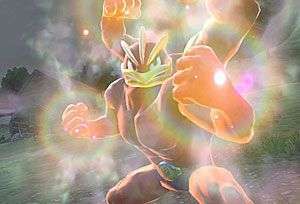 In both phases, the battle is dictated by one consistent rule, which Pokken dubs the Attack Triangle. Essentially it states that Attacks beat Throws, Throws beat Counter Attacks and Counter Attacks beat out Attacks. 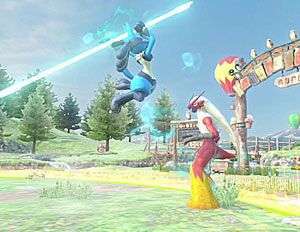 This sort of rock, paper, scissors approach is common in many fighting games, but Pokken takes it a step further by bestowing critical hits on players who read their opponents well and use the right option. A throw might normally deal 50 damage, for example, but if the opponent is thrown out of a counter attack, it would do 100. If the opponent were to use an attack instead, the throw would lose and leave the thrower open to be punished. The attack triangle makes every move a microscopic battle in and of itself, with players predicting what the other will do, and training them to react in certain ways that can be taken advantage of later. It lends the same sort of strategic air the main Pokemon series has in spades and, in the context of Pokemon battles, feels incredibly natural. Each fighter also has access to a support Pokemon, who have one of three effect classes: disuption, where the enemy is forced to back off; damage, where the enemy takes a hit; enhance, where your own Pokemon is given buffs from anything to their speed to their critical hit ratio. Depending on how strong they are, they charge at different rates, so deciding when to unleash them is yet another layer of strategy to think about. Those synergy stones I mentioned earlier lend themselves to another aspect of battle, the Synergy mode. It takes some time to build up synergy, but when you do it’s worth it. In this mode, your Pokemon of choice is more powerful, with the ability to shrug off projectiles and have it’s own attacks given an extra bit of oomph. For some of the Pokemon on the field, this takes the form of Mega-Evolution. Others, like Pikachu Libre, are inspired by the crowd to whole new heights. Regardless of how it is presented, the effects are the same, and while in Synergy mode they all have access to a blisteringly strong Synergy Burst attack. This can only be used once per synergy mode, but it can turn the tide of battle almost single handedly, so use it well. And if all of that wasn’t enough to think about, you also have your advisor, Nia, to consider. She’ll cheer for you throughout the battle, which grants certain effects. Depending on the strategy you decide with her, her cheers could improve the amount of synergy you have at the start of a match, how quickly your supports are charged or, if you want to live life on the edge, they could be random, sometimes filling every possible gauge to the max, sometimes doing nothing at all and sometimes falling somewhere in the middle. Depending on your style of play, this could be the difference between a win and a loss, so it’s worth thinking over carefully. You may be starting to gather how complex an experience Pokken Tournament is now, so it should be no surprise that when I said there were sixteen playable characters, I wasn’t being entirely truthful. The real number is much closer to thirty two, as each Pokemon has a completely different moveset for their phase and duel modes. Some, like Suicune or Chandelure, will have extremely strong field phases, while for others, like Machamp, field phase is something to be bypassed as soon as possible in favour of getting into duel phase. Every character has their own strengths and weaknesses, and it’s up to the person playing them to work out how they’d like to approach the battle. This leads to players being very stylistically different, even when they’re playing the same character. Every Pokemon has a wide range of moves and combos that they can pull out of the bag, and nobody reacts to the same situation in exactly the same way. This keeps the gameplay feeling fresh, even after hundreds of battles, simply because every player is allowed to be so different. Of course, the fact that Pokken is gorgeous also helps keep it from getting stale – a feat made all the more impressive when you consider the console that it’s running on. Every Pokemon is lovingly designed, and even characters that could run the risk of being too similar, such as Pikachu and Pikachu Libre, are differentiated by the moves that they can use. Those movesets are also jam-packed with references and nods to the source material, which is great. 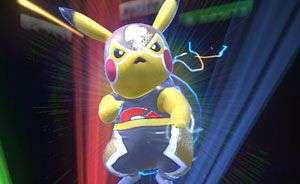 It’s hilarious seeing Pikachu make use of the God’s Fist made famous by Heihachi, and I’ve yet to tire of Pikachu Libre pulling out the Stone Cold Stunner or People’s Elbow. Each battle is played out in one of a huge variety of arenas, most of which boil down to either circles or ovals of various dimensions. Leaving it at that would be a disservice, however, as each area looks great and most are packed full of background details that I’m still spotting for the first time. It truly feels like you’re battling in a park of the Pokemon world, even if it’s a region that we’ve never visited before. One factor that may help that familiar feeling is the music, which has been nailed, as usual. There’s the right blend of iconic Pokemon tracks to get the blood pumping, with a smattering of less familiar tunes for flavour. Each of them is gloriously nostalgic, though, and helps make sure that it’s impossible to forget that this is a Pokemon game at it’s very heart. And that, I think, is why I love it so much. For someone like me, who has lived and breathed Pokemon games since I was knee high to a grasshopper, Pokken Tournament is one of the most glorious tributes imaginable. It’s deep and intense, yet still openly welcoming to players who aren’t familiar with fighting games. By harnessing all the main strategies that are so prevalent in the main series of games and transforming them into one on one combat, Pokken is an experience that’s wonderfully familiar but still excitingly new, and that sensation hasn’t yet faded despite the hundreds of matches that I’ve already played. The best thing is, I still feel like there’s so much to explore. The story is done, for now, but Pokemon has always been a series that continued even when the story has come to an end. I’ve barely scratched the surface on playing my handful of favourite characters, and there are others I’ve yet to try that promise just as much opportunity for experimentation. In short, Pokken is the sort of thing I feel like I could recommend to anyone. If you’re an old Pokemon fan, then this will inspire all the feelings you felt when you first turned on that copy of Pokemon Red or Silver, or any of the others. If you’re more of a Tekken guy, then there’s so much here for you to try and explore that you’ll be digging into it for weeks. And if you’re not sure what sort of thing you like, then, why not give this a try? I’ve yet to play a fighting game that’s more comprehensively and intentionally welcoming, so don’t worry that you’ll be out of your depth. As for me, well, I used to think that I needed to catch ‘em all to be a Pokemon Master. Now I’ve found another route. I think I’ll walk down this one for a bit. I mean, come on, it’s Pokemon and Tekken. Could there be anything better? Pokken Tournament is, basically, amazing. It’s a fabulous game that’s full of content and tools that help you learn how to play before you dip your toes into the remarkably robust online modes. It looks good, it feels good, and it’s really fun to play. Plus it tickles all the right nostalgia points, and throws in some fun Tekken Easter eggs for good measure. It’s also the first game in almost 18 months to force Smash Brothers out of my Wii U disc tray, which should say something for how excellent an experience it is for series veterans and newcomers alike. Basically, I love it, even if it is a massive palava to get the full local-multiplayer experience.